Estate [Summer]: the warm season of vitality in which body and senses express themselves to their utmost. in order to rediscover the great musical and artistic heritage of Montecatini as well as the relationship between Spa and culture. It's a Festival where different musical and artistic genres are combined creating new and original forms of entertainment, involving artists far from the world of cultural music, without by such foregoing a basic stylistic coherence and maximum focus on the quality of the execution. Modernity and tradition are the main components that make Estate Regina one of the richest events among regional and national cultural offers. In order to look to the future offering MUSIC & ART in a pure, free and original way, arousing interest in the different forms of art, proposed not as a as heavy-going, obscure and complicated language but as a natural expression of body and soul and as something to be communicated to everyone, even to public less inclined to attend concert halls. The location where concerts take place, the Tettuccio Spa is a symbol of purity itself, a place where the monumental architecture and wealth of decorations, as a result of history and tradition, blend with the surrounding nature and with life-giving, pure waters of the thermal fountains. The Festival resident orchestra is the Maggio Musicale Fiorentino Ensemble, a prestigious chamber orchestra made up of professors from the Maggio Musicale Fiorentino Orchestra. The Ensemble has an extremely high level of professionalism thanks to the experience of its musicians built up at the Comunale Theatre in Firenze under the guidance, as well as of the mentioned Zubin Mehta, of great conductors of our time such as Abbado, Prêtre, Muti, Maazel, Bychkov, Chung, Giulini, Ozawa, Sinopoli, and of great conductors of the past such as Carlos Kleiber, Karajan, Bernstein, De Sabata, Guarnieri, Marinuzzi, Gavazzeni, Serafin, Furtwängler, Walter. 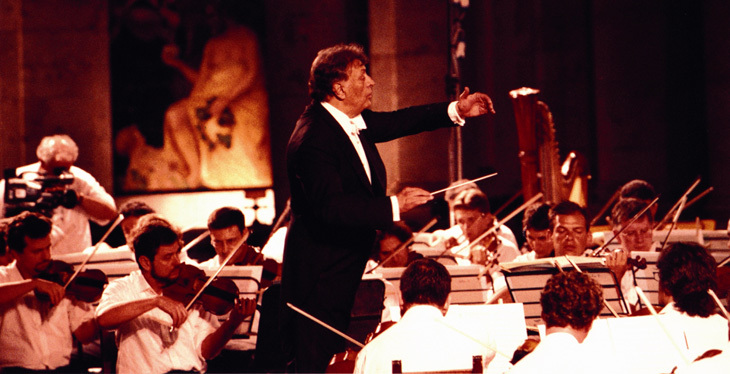 During the fourteen past editions the Festival has involved internationally famous conductors such as Zubin Mehta, Yuri Ahronovic, Ivor Bolton, Daniel Oren, Gabriel Chmura, Julia Jones and many others who enthusiastically joined the purposes and the and realization of the festival. 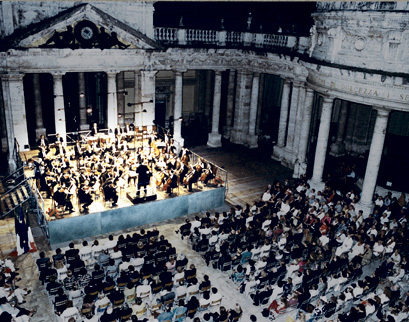 The Festival has also benefited from the participation of musicians and actors of great fame and prestige such as Uto Ughi, Luciano Berio, Salvatore Sciarrino, Dalton Baldwin, Andrea Lucchesini, Cristiano Rossi, Franco Maggio Ormezowsky Michele Placido, Ugo Pagliai, Athina Cenci and Paola Gassman, Shlomo Mintz, Luca Barbareschi, Christian Lindberg.